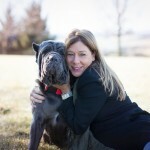 I grew up with a Bullmastiff, so it is no surprise I’m enamored with Maddalena the Neapolitan Mastiff. 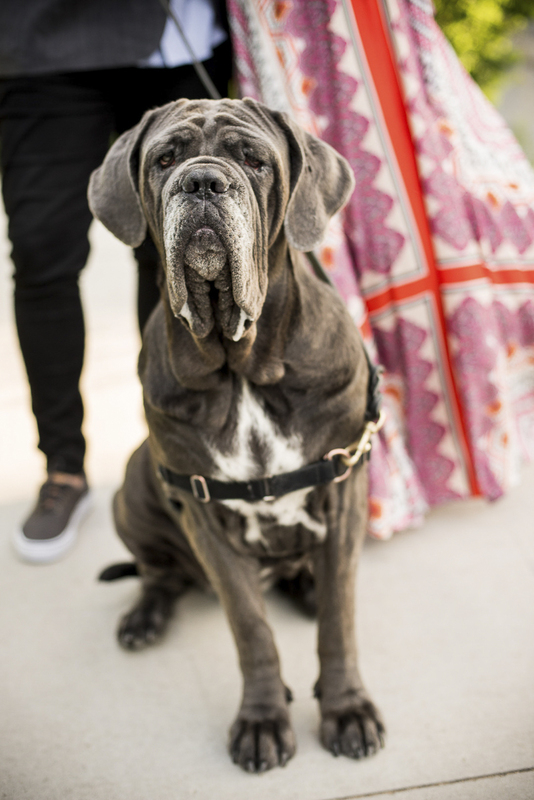 If you’re more familiar with movies than dog breeds, Fang from the Harry Potter series is a Neapolitan Mastiff. 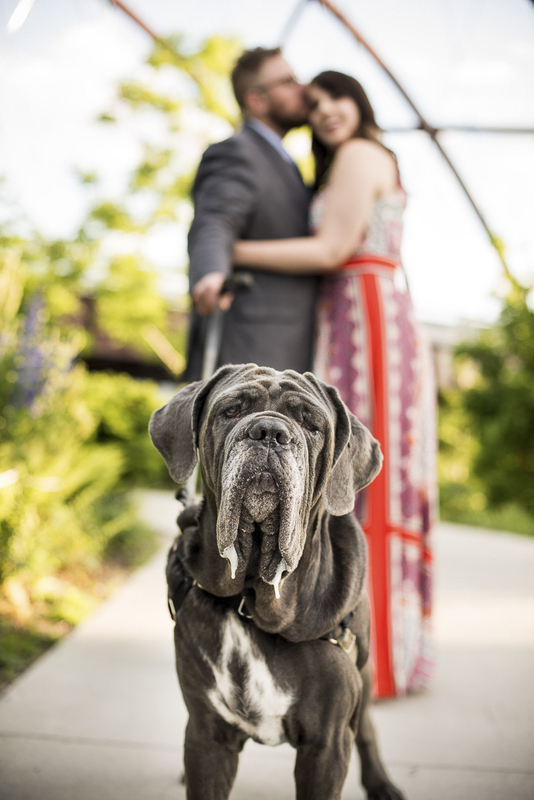 Maddalena joined her humans’ engagement session with Cattura Weddings. 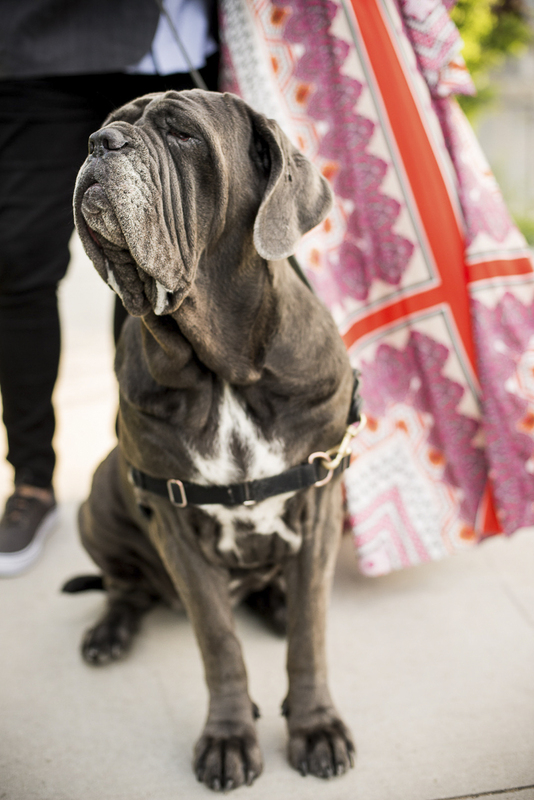 From Erica: “Maddalena is a two-year-old Neapolitan Mastiff who is 130 lbs of big baby. 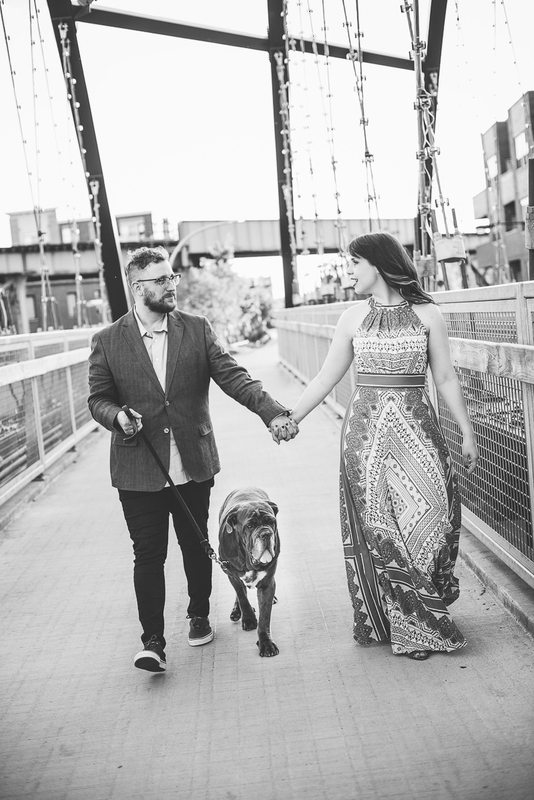 We wanted our engagement photos to be reflective of who we are as a couple, so of course, we had to include our pup. Needless to say, she stole the show, slobber and all. 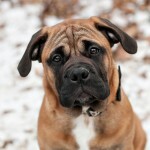 Neapolitan Mastiffs were bred to be war dogs in ancient Rome and to fight in the Colosseum. You’d never know it by meeting our girl! 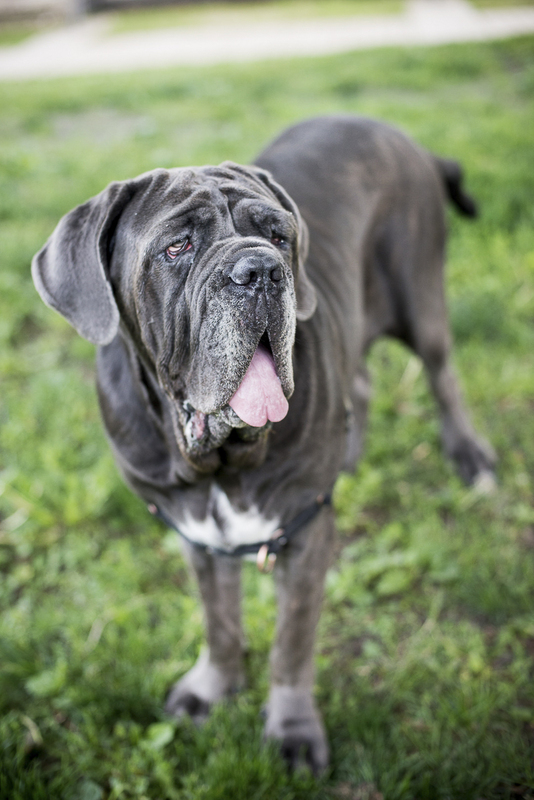 She’s a sensitive giant who loves to cuddle on the couch and is a bit of a social butterfly in the neighborhood with her dog and human friends alike. Follow Cattura Weddings on Instagram. About Cattura Weddings: Based in Southern California as well as Chicago, Illinois Christine specializes in destination weddings. The water fountain photo is AWESOME!!!!!! OMG’s…. laughed so hard. needed that. thank you. It is a new favorite photo for me! I’m glad it made you laugh too. Thanks so much, I’ll check them out! Oh that slobbery face!! haha!! 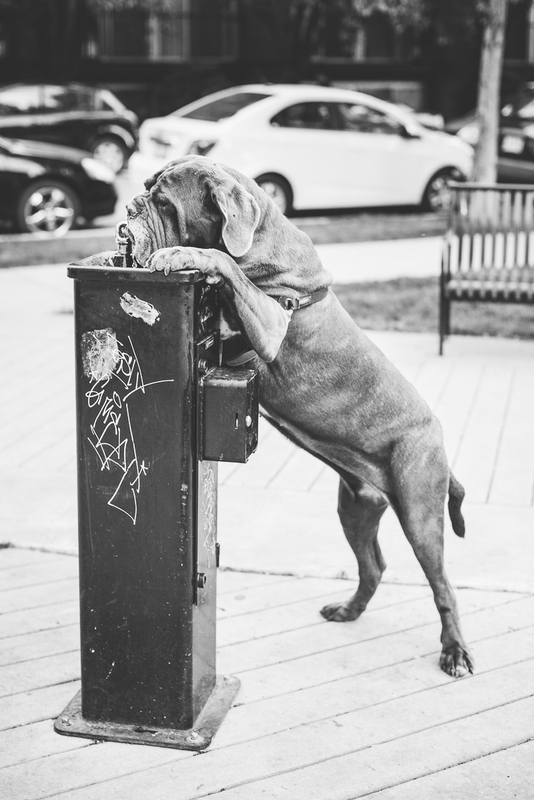 I can’t get enough of these engagement photos–the pup totally steals the show! She is simply amazing! I have wanted a Neapolitan for a very long time. Second to having one of my own is seeing pictures of them. Aww that face! And I love the photo at the water fountain! She is so stinkin’ cute! Those water fountain pictures are too perfect! I just want to cuddle her! OMG — what a sweet face!! 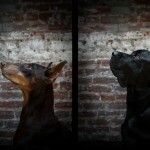 Love these pictures! Oh that face! And the water fountain pics are priceless!! 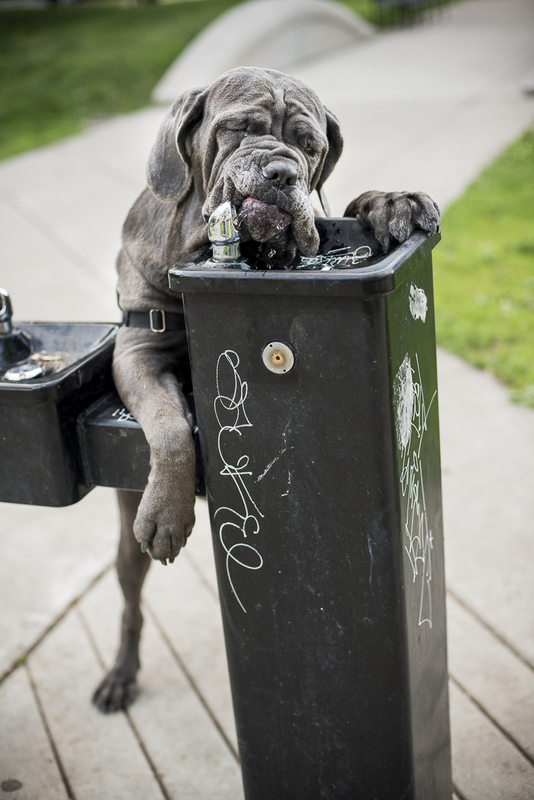 It’s great when you, the dog, are tall enough to use a water fountain 🙂 Adorable. Every time I see those photos, they make me smile. That dog is HUGE! Oh my CAT that dog is HUGE indeed but what lively and sweet pictures. Someone is a very VERY loved dog!